Shown L-R: Top row: Steve Durr, Chuck Ainlay, Alicia Warwick, Ben Fowler, Nick Palladino. Bottom row: Ashley Ernst, Julian King, Susan Stewart, Jon Randall Stewart, Jeff Balding, Terry Palmer, Laura Crawford. Photo Credit: Robert Clyne, Clyne Media Inc. Shown L-R: Top row: Chuck Ainlay, Steve Durr, Jeff Balding, Ben Fowler, Nick Palladino. Bottom row: Julian King, Jon Randall Stewart, Terry Palmer. Photo Credit: Robert Clyne, Clyne Media Inc.
SANTA MONICA, Calif. (Feb. 25, 2013) — In a bold move that will expand the boundaries of music education in public schools to include the business of music, sound production, recording technology, and the aesthetics of a well-crafted performance, Nashville Mayor Karl Dean, Metropolitan Nashville Public Schools (MNPS) Director Jesse Register, and John Esposito, president/CEO of Warner Music Nashville, have announced the creation of a student-run record label to be a key component of Music Makes Us, the new music education initiative at MNPS. The project will be centered around a state-of-the-art recording studio at Nashville's Pearl-Cohn Entertainment Magnet High School that is designed, equipped and will be guided by the efforts of members of The Recording Academy®'s Producers & Engineers Wing®. Members of the Pearl-Cohn Subcommittee of the P&E Wing, including Subcommittee Chair Jeff Balding, Nashville P&E Wing Co-Chairs Chuck Ainlay and Justin Niebank, Steve Durr, Ben Fowler, Julian King, Nick Palladino, and Terry Palmer, all contributed their collective knowledge, wisdom and passion to the project, which will feature a 32-channel API 1608 console in the main control room and two post/editing suites equipped with SSL Nucleus DAW controllers. Additionally, the project will feature products from Audio-Technica, Fredenstein Professional Audio, the HARMAN® Professional brands (AKG® Acoustics, JBL® Professional and Lexicon®) and Shure. The recording studio is scheduled to open mid-April. 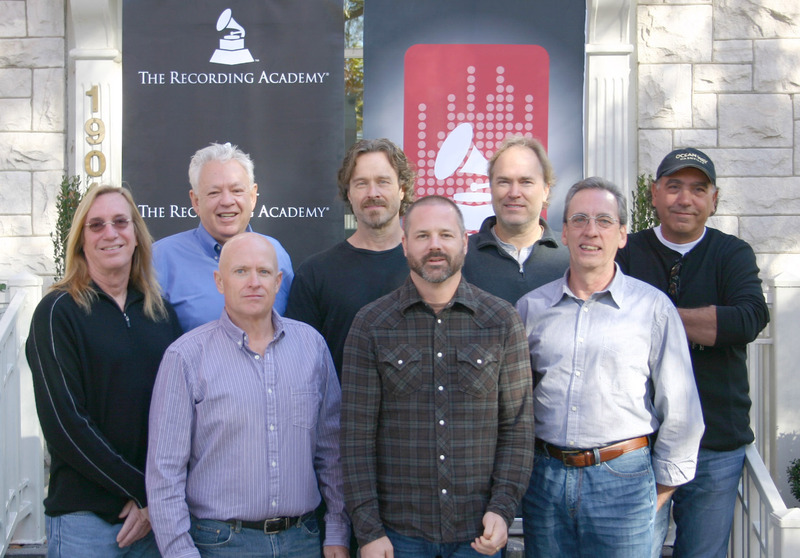 "When we were approached with this project, we were delighted," recalls Chuck Ainlay, GRAMMY® Award-winning producer/engineer for artists including Mark Knopfler, Miranda Lambert, George Strait, and Peter Frampton. "But we also realized that the recording studio aspect would need more than just equipment — it would need a solid acoustical design and a layout that would work well for students and teachers as well as for artists and engineers." Ainlay says they turned to award-winning recording studio designer Steve Durr, also a Nashville resident, whose portfolio includes studios for Austin City Limits, the Black Keys, Mark Ronson, Lenny Kravitz, and Zac Brown. Durr laid out the acoustical and ergometric designs, which are being constructed at Pearl-Cohn Entertainment Magnet High School. "I tried to achieve a design that would allow students to experience recording music with both machines and people," Durr explains, citing the large control room that will allow several students and teachers to work comfortably using drum machines, digital samplers and synthesizers as well as the recording equipment, and the sizable tracking room where they will be able to capture great recordings of live musicians playing in ensemble. "What I hope this ultimately accomplishes is that kids will now be able to learn about making music in an environment that was designed around great sound. Kids who have been brought up on MP3s can experience what music can really sound like. That can change their lives." Balding says the members of the P&E Wing pooled their relationships with major professional audio manufacturers to gain support for the project. In the process, they've discovered members of the Pearl-Cohn faculty who have worked in the music industry and are well acquainted with the technology of music recording. 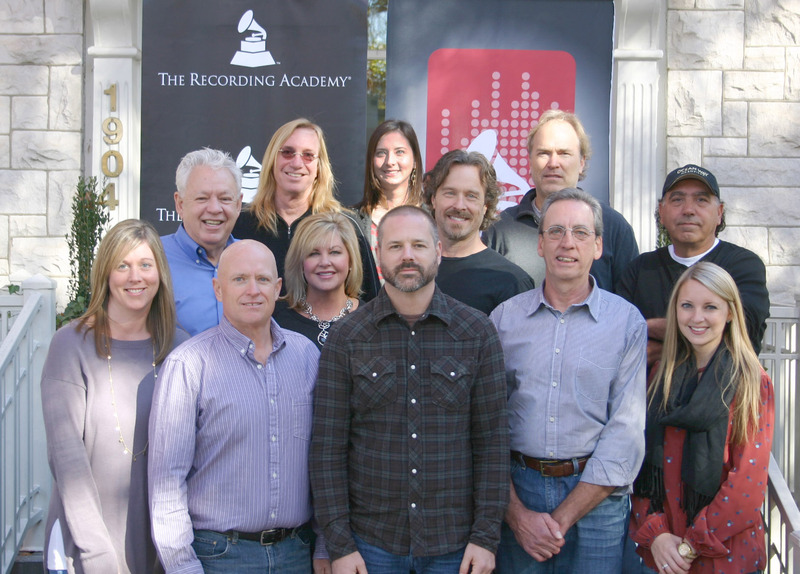 "It's great to see the whole community come together over this — teachers, artists, engineers, producers," says Balding, who has multiple GRAMMY nominations and is currently working with Ronnie Dunn, Thompson Square and Don Henley. "I believe in pouring our experience into the generation coming after us. If we can take our ceiling and make that their floor, it will allow them to take our industry to a much higher level, and that's exciting to me." Ainlay agrees, adding, "It's very satisfying to watch this all come together. I really do feel that in addition to introducing these kids to how music is recorded, we're also raising their expectations about the quality of music, and that can have tremendous implications for the music industry for years to come." Music Makes Us promotes, supports and advances student engagement and achievement through robust, high-quality music education with both a traditional music curriculum as well as a contemporary curriculum track that uses new technologies and reflects a diverse musical landscape. A public/private partnership among Metro Nashville Public Schools, Nashville Mayor Karl Dean, and music industry and community leaders in Nashville, Music Makes Us is committed to becoming a worldwide leader in music education, bringing the resources of the Nashville music community together to enable participation and foster student success for all of its 81,000 students. For more information, please contact Director Laurie T. Schell at laurie.schell@mnps.org. The record label, to be operated by students at Pearl-Cohn Entertainment Magnet High School, will be managed through a strategic alliance with Warner Music Nashville. It will operate identically to a corporate music label by signing, recording and promoting student artists from across the school district. A Pearl-Cohn student will be named to head the record label each year. Metro Schools students will audition for placement on the record label, which will include different music genres. Any revenue generated by the record label through the sale of songs will go to Music Makes Us to further invest in music education. Photo Caption 1: Shown L-R: Top row: Steve Durr, Chuck Ainlay, Alicia Warwick, Ben Fowler, Nick Palladino. Bottom row: Ashley Ernst, Julian King, Susan Stewart, Jon Randall Stewart, Jeff Balding, Terry Palmer, Laura Crawford. Photo Credit: Robert Clyne, Clyne Media Inc.
Photo Caption 2: Shown L-R: Top row: Chuck Ainlay, Steve Durr, Jeff Balding, Ben Fowler, Nick Palladino. Bottom row: Julian King, Jon Randall Stewart, Terry Palmer. Photo Credit: Robert Clyne, Clyne Media Inc.